Nando's has got a clucking big problem. The international casual dining restaurant chain just learned that Stewkley Farms, one of the farms that supplies them with chickens, has been horribly abusing their animals. A video that was taken last year and that's just gone public reveals the astonishing cruelty to which some of Nando's chickens were subjected to before they were slaughtered. In the video, live chickens are forced to live side by side to ones who have already succumb due to lack of care. Another part of the video shows thousands of chickens stuffed in small coops with barely any room to move. 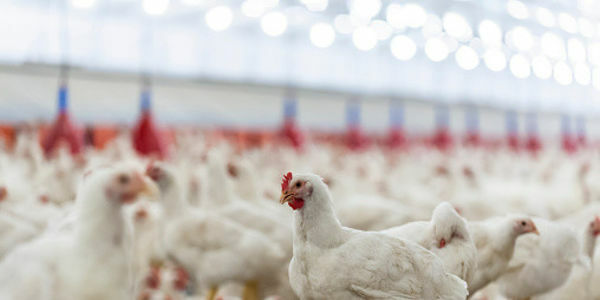 The offending farm, located in Buckinghamshire, United Kingdom, provides Faccenda — one of the U.K's largest poultry companies — with their chickens and the food chain purchases their chickens from them. While Nando's may not be a household name in the United States, they are a major player in other markets. In fact, they have around 1,000 restaurants worldwide — 40 in the U.S.
Their U.K. webpage says that all their chicken meets all animal welfare standards, but this video shows the shocking truth. Please sign this petition and ask Nando's to do the right thing and end their relationship with Faccenda immediately.